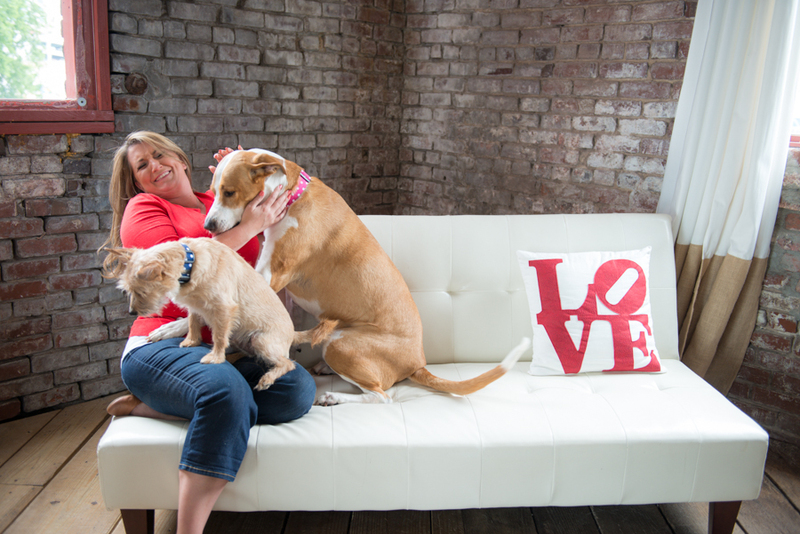 A Puparazzi photo session with me includes a lot of laughs, plenty of kisses (from the fur babies, that is!) and a lot of patience. From one photo of my beautiful girl, Mandi, years ago, Puparazzi Portraits was born. I truly love working with animals and capturing the silly, serious and loving moments. I look forward to working with you and capturing all the fur baby goodness that is already part of your heart, onto film and into forever memories! I book only three Puparazzi Portraits sessions per month and all sessions take place at my studio located at the Goat Farm Art Complex in West Midtown, Atlanta. Exceptions will be made should you have a senior dog or cats that you want to have photographed and I will be happy to work with you to come to your home and do a session there. In my studio, we get the beauty of old wood floors, large windows flooding with natural light as well the high key look (white background) that I specialize in, and we can even take the fur babies outdoors if we decide at the end of the photo session. We will schedule a phone call after you reach out to me with an inquiry, so I can find out more about what is inspiring you to do the session as well as the personality of your pet(s) so we can have a relaxed and fun time while you are in the studio for your session. I also ask that the parents pop into images throughout the session since I truly believe the memories are of that love between you and your furries! So once you book, I will send you a What to Wear/Getting Ready email for you and the fur babies so all of you are ready for camera on the day of the shoot! I encourage bringing their toys and treats and even a favorite blanket that they love to cuddle with at night. It’s all about capturing the love and the memories! At the end of the session, we will set up a time for you to come back for your Reveal and ordering session where you will get to watch a slideshow of 45-50 of the best images from your session and I will walk you through the ordering process at this time. You will also be able to touch/feel coffee table books, prints and float wraps - a few of the gorgeous products that I offer and are a favorite of my Puparazzi clients! For more information, please visit the FAQ and as always if you have questions, don’t hesitate to reach out to me directly!